With John McCain trailing in the polls during the 2008 U.S. presidential election, strategist Steve Schmidt knew he needed a 'game changer' to turn the tide. From director Jay Roach and writer Danny Strong comes this searing, behind-the-scenes look at McCain's ill-fated campaign. 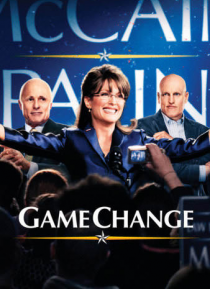 Told primarily through Schmidt's eyes, the film pulls back the curtain on the McCain team and their clash over politics… and principles as Schmidt championed Palin as McCain's running mate.